1. All payment made to SG5 Hosting are non-refundable, but not limited to any case of disputes charges and overcharging. 3. Users who fail to pay by credit card within ten (10) days of the issuance of their account invoices (by email or standard delivery) will result in the immediate termination of their account (s). 1. Request for termination of user accounts can be made by emailing us and requesting the account to be closed. 2. Termination requests received will take effect immediately, that means you're not required to pay for web hosting plan fee for that month, if termination request is received after the fee charged in that month, which is not refundable, that means starting from the following month you will not be charged for web hosting fees. 1. Placement, offer, sale and storage of illegal or unauthorized products and/or software using the SG5 Hosting hosting space will result in an immediate and irrevocable termination of the violating account (s). No refunds will be made for such termination. 2. Storage, placement, offer and sale of copyrighted material such as files based on copyrighted audio/video material, pirated software (warez, torrent files or trackers), or any other illegal material, such as hate, terrorists related websites or sites containing adult content law will result in an immediate termination of the violating account (s). 3. SG5 Hosting will seek to provide maximum cooperation with the investigating and prosecuting bodies, and reserves the right to furnish private details and information supplied by the offenders during the time of registration and subscription. 4. Legal action will be taken against perpetrators of credit card fraud and other abuse of the system aimed at deriving illegal financial benefit. Subscribers from countries deemed to pose high risks where credit card fraud is concerned, including but not limited to, Indonesia, Russia, the former Soviet Union countries, Malaysia, China and the Middle Eastern countries are required to furnish a copy of their driver license, passport and signed Terms of Service to SG5 Hosting Networks via fax to prove ownership of the credit cards used for payment, prior to the establishment of their account (s). 1. Non-adherence and non-compliance with any terms and conditions listed herein will result in immediate suspension of the violating account (s), unless the penalty is immediate termination, as stated herein, for which immediate termination shall apply. 2. E-mail will be despatched to the offending subscriber requesting the provision of an explanation of the issue. 3. The management of SG5 Hosting reserves the right to terminate the violating account without refund if the explanation is not received within a time deemed reasonable by the management of SG5 Hosting Networks or if the reason submitted is deemed insufficient or inappropriate by the management of SG5 Hosting Networks. 1. Usage of bandwidth in excess of the volume allowed to accounts will be levied charges of £1.50 for each excess GB of bandwidth consumed, this must be agreed before the account exceeds its monthly limit, (BW can be checked via the control panel). 2. Account holders are advised to maintain the storage requirements of their account (s) by deleting unnecessarily large files, or upgrade to packages with higher storage and bandwidth allotments. 3. All accounts that reach there bandwidth limit for the month will be auto suspended until the account is upgraded or the start of a new month when the bandwidth limits are reset. 1. Run any process that requires more than 8Mb of memory space, more than 30 CPU seconds, or use more than 5% of all available system resources at any time. 2. Run any type of interactive real-time chat applications that require server resources. Remotely-hosted services are fully allowed. 5. Run any site with adult-oriented content, including but not limited to any pornographic material. SG5 Hosting is not responsible for making a full backup of your website including mysql databases. 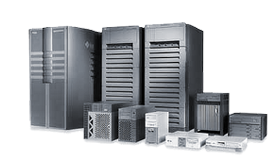 Customers acknowledge that they will backup their websites and databases from the backup utility provided from their control panel, and store a copy off the server. 1. To qualify for a free domain name (.co.uk/.net/.com/.info) payment for the hosting plan must be paid in full for 12 months. 2. Choice of domain name is subject to it being free when purchased. 3. The domain name will remain the property of SG5 Hosting during the 12 months, if you leave after 12 months we will release the domain to you. 4. You will have to pay for the domain name if you leave within 12 months this will be taken out of the balance left on your hosting account before we refund you. 5. If you renew for another 12 months we will renew the domain. 1. SG5 Hosting will provide instant refunds to account holders involving over-charging for any reason. 2. Advanced payment made by account holders whose account (s) cannot be setup within 72 hours of the application will be refunded and the application marked as void. 1. SG5 Hosting takes a zero tolerance approach to the sending of Unsolicited Commercial Email (UCE) or SPAM over our network. Very simply this means that customers of SG5 Hosting may not use or permit others to use our network to transact in UCE. Customers of SG5 Hosting may not host, or permit hosting of, sites or information that is advertised by UCE from other networks. Violations of this policy carry severe penalties, including termination of service. 2. Violation of SG5 Hosting's SPAM policy will result in severe penalties. Upon notification of an alleged violation of our SPAM policy, SG5 Hosting will initiate an immediate investigation (within 48 hours of notification). During the investigation, SG5 Hosting may restrict customer access to the network to prevent further violations. If a customer is found to be in violation of our SPAM policy, SG5 Hosting may, at its sole discretion, restrict, suspend or terminate customer's account. Further, SG5 Hosting reserves the right to pursue civil remedies for any costs associated with the investigation of a substantiated policy violation. SG5 Hosting will notify law enforcement officials if the violation is believed to be a criminal offence. 1. Use of the SG5 Hosting service to transmit any material (by e-mail, uploading, posting or otherwise) that infringes any copyright, trademark, patent, trade secret or other proprietary rights of any third party, including, but not limited to, the unauthorized copying of copyrighted material, the digitisation and distribution of photographs from magazines, books, or other copyrighted sources, and the unauthorized transmittal of copyrighted software. 1. The management of SG5 Hosting reserves the right to make amendments or alterations to the terms and services listed herein without prior notification to existing account holders. 2. All account holders are encouraged to refer to the user agreement regularly for the latest copy of the Terms of Service and conditions of subscription.